“Pink Mittens,” Oil, 16 x 20 in. Kimberly Ruggiero came to art after a corporate career. In 2000, she began her formal art training at the Lyme Academy College of Fine Arts, in Lyme, CT. In recent years she has won recognition for her intimate figurative paintings. Kimberly has received several awards for her figure paintings. 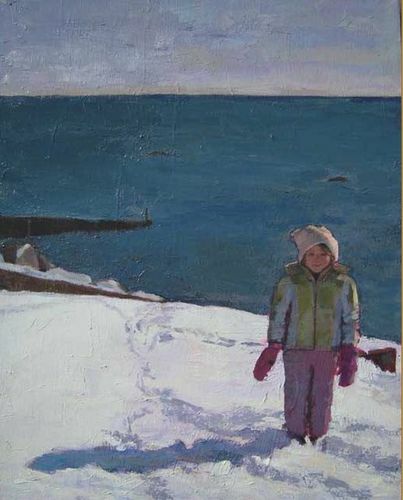 Her work is found in private collections throughout New England and Florida. You can contact the artist at: kim@ruggierogallery.com.